Milton & Betty Katz Jewish Community Center Auditorium Room Rental. Hang Out with Some Real Party Animals and Celebrate Your Big Day at the J! We make parties fun and easy. Just choose one of our popular party themes and we take care of the rest! Learn more about Birthday Parties at the J Here. 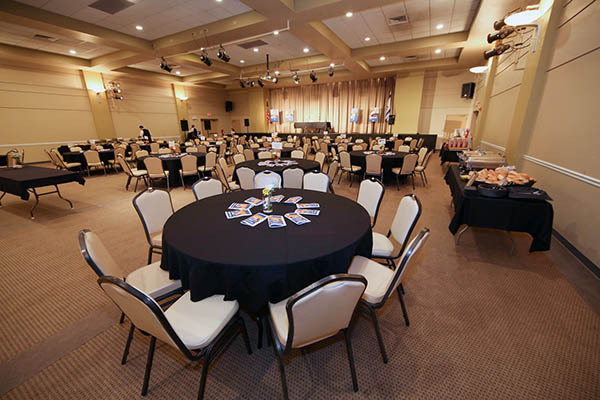 The Katz JCC offers a wide array of facilities for all occasion. Rooms rentals for events, meetings, athletics and other needs are available throughout the year. *No food permitted in the Gymnasium, unless special floor covering is laid. PLEASE NOTE: The above rental prices are for (3) hours. An additional 20% is applied to the above pricing for each hour beyond the allotted time. Chairs and tables are the only equipment included in room rentals.